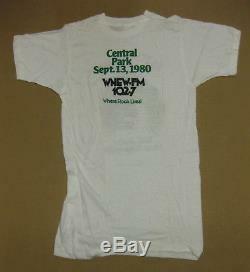 Original rare vintage promo only T-shirt, clean, un-used condition. Please see our specs below. 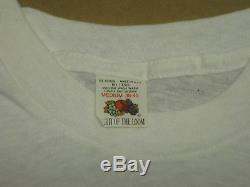 Size tag = M (Medium). Pit to Pit = 16. Back of collar to bottom = 28. 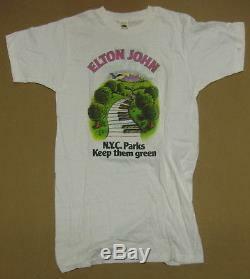 The item "ELTON JOHN WNEW New York Central Park 1980 VINTAGE Concert T- SHIRT Medium MINT" is in sale since Friday, December 1, 2017. This item is in the category "Entertainment Memorabilia\Music Memorabilia\Rock & Pop\Artists J\John, Elton".com" and is located in THE WILD WILD WEST !! !.